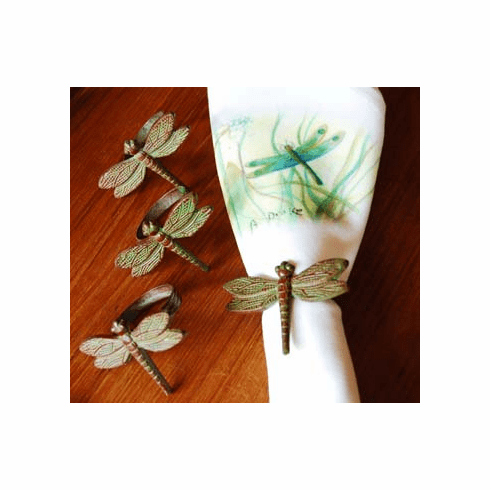 Dragonfly Napkin Rings, Set of 4 - Fine detailing with sturdy steel and brass construction for many years of nature to your table. Each napkin ring is hand finished in a pleasing verdigris finish. Gift boxed. Napkins sold separately.